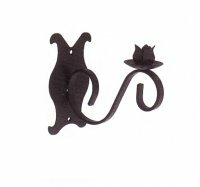 Single tulip dinner fitting wall sconce. For colours see drop down box and more images. Unit has screw holes for wall fittings (screws not included)* For dinner candles.